Why Purified Water? What you don’t know about toxins in water. Purified water not only tastes better but once you’ve seen the long list of potential contaminants and toxins in the water that comes from your tap, you’ll understand why it’s also much better for your health. Why purified water over tap? Most people find that tap water has an unpleasant taste. For some this means it’s hard to drink their daily quota of pure water without trying to improve the flavour by adding cordial, juice, tea or coffee. When you invest in purified water for your family’s health, you’ll find that the pure, fresh and thirst quenching taste will have everyone asking for more. The concern over contaminants in our tap water is not just paranoia! There’s no arguing that the water that comes out of your tap is clean when compared to many countries around the world but if you’re looking to achieve optimal health or recover from illness you might be concerned about what’s in your glass of tap water beyond the H2O. Chlorine is added to disinfect and kill disease causing bacteria such as Giardia but that doesn’t mean you shouldn’t remove it before drinking. Chlorine in water may slowly alter the balance of good bacteria living in your digestive tract contributing to IBS and gastritis. A 2002 Norwegian study showed that 5 glasses of water per day containing chlorine increased the risk of miscarriage by up to 14% *. Contaminants can enter your water as it makes its way through catchment and distribution systems picking up fertilisers, pesticides, livestock waste, chemical run from industry and heavy metals from mining. Then it makes its way to your tap through dilapidated drinking water infrastructure including lead jointed pipelines, deteriorating polyvinyl chloride pipes and old household plumbing. Lead solder in water pipes was legal until 1989. Lead can cause growth and developmental delays in children. The recent floods in the Bundaberg area had health authorities in a spin over concerns about local water supplies being contaminated by sewage, fuel and animal carcasses. Are you still thirsty for a glass of tap water? What about an under-sink water filter? It’s not just enough to filter the contaminants out of your drinking water. Many filters leave the water acidic by removing all the dissolved solids – you can measure this with pH test strips yourself. The damage over time to your teeth alone caused by drinking acidic water can be similar to the damage done from drinking soft drinks! Your purified water should be at the very least a neutral pH of 7 to avoid this problem. The PH of So Fresh Pure Water is constantly monitored in real time by digital read out meters. Each bottle is filled to ensure our customers are receiving the highest quality of pure water with a consistent neutral PH of between 6.8 & 7.3 as recommended by our accredited plant engineer. 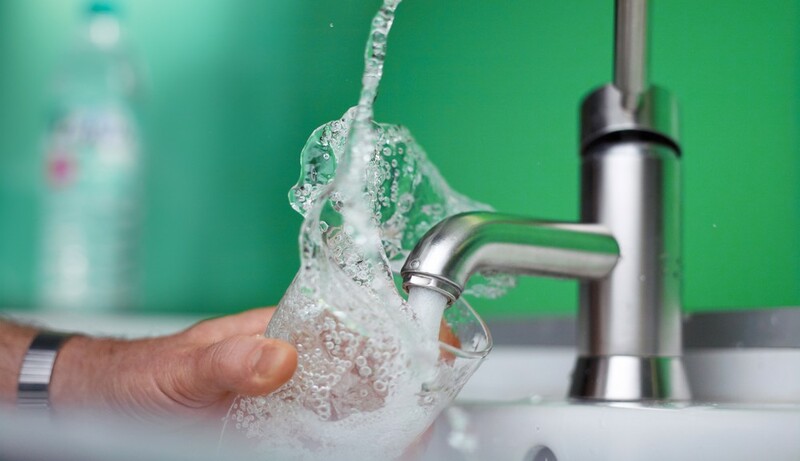 The ongoing expense of maintaining a good water filtration system at home can also be quite high with some filters needing to be replaced every 3-6 months or your water can end up actually higher in contaminants than it was before going through the filter. Our stringent water purification process means that you’re 100% sure you’re drinking pure, clean water. Why purified water over tap or regular spring water? There are so many reasons. Why wouldn’t you choose purified water for your family? It’s the only logical safe and healthy choice for drinking and cooking. Contact So Fresh to order your pure water & dispenser today!!! Previous PostHealthy ideas for a scorching summerNext PostHow Much Water Should I Drink A Day?